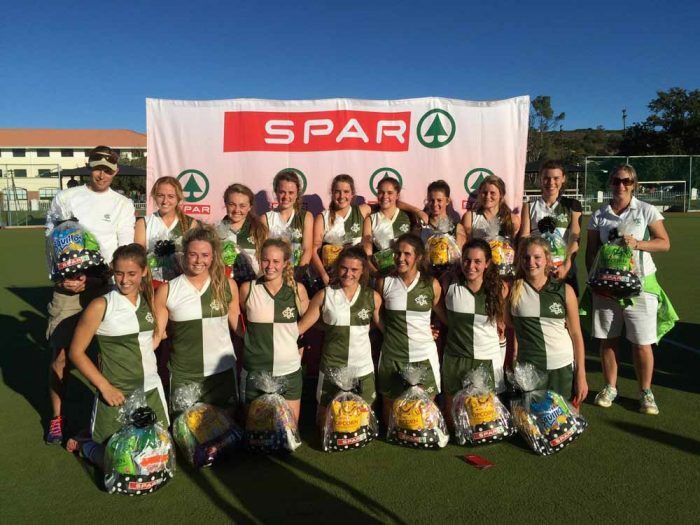 Host school DSG took the honours in a well contested final against Graaff-Reinet’s Union High when the PE North section of the SPAR Eastern Cape Schoolgirls Hockey Challenge was played in Grahamstown on Sunday. Ten schools competed in the second tournament of the Eastern Cape regional series. Collegiate triumphed in the PE Central leg on April 17 when they defeated Pearson 1-0. In Grahamstown, DSG won by an identical margin, scoring their goal after five minutes. This, said DSG coach Chris Hibbert, managed to ease some of the pressure in matches limited to just 20 minutes. “The early goal meant we were able to calm things down. “But it was a very good final, well contested, and Union High came back with three minutes to go to force a penalty corner. DSG will join Collegiate in the regional finals at Woodridge on August 13. The remaining regional tournaments in East London, Queenstown and George will take place during May. Eastern Cape tournament director Peter Wilson was full of praise for the spirit in which the matches were played, exemplified by an incident in the final. “With DSG leading 1-0, a ball was hit into the Union High circle and deflected by a DSG player into the net. “Everyone thought it was a second goal, but in a fantastic show of sportsmanship the DSG player went to the umpires and indicated that the ball had come off her foot. “It really just summed up the spirit and the vibe in which the tournament was played and it was another fantastic day of schoolgirls hockey,” said Wilson. He said Gill, who do not have an astroturf and do not get a lot of strong competition, ended third. Wilson thanked Rosehill SUPERSPAR from Port Alfred for assisting the local Oak Cottage KWIKSPAR, which is undergoing refurbishment, with the catering. The tournament also provides a chance for younger umpires to gain exposure and Rhodian Rowan Bromham received the umpires’ award. The final placings were: 1 DSG, 2 Union High, 3 Gill College, 4 Victoria Girls, 5 Kingswood College, 6 Cradock High, 7 Volkskool, 8 Brandwag, 9 Port Alfred High, 10 PJ Olivier.